The Outdoor Gear Store specializes in high quality lightweight backpacking equipment, ultralight hiking essentials, and in general, excellent outdoor gear from time-proven manufacturers as well as promising new gear companies. With backpacking gear and hiking essentials from the Gear Store, you can "gear up & get out" with confidence !! GEAR SHOPPING TOOLS & FAVORITES ! We LOVE QUALITY Sleeping Bags ! weighs 1 lb 10 oz (737 grams), rated 20 F / -7 C, 14 oz (397 grams) of 850-fill goose down, down-filled draft tube with stiffener along full zipper track. Awesome ultralight sleeping bag ! weighs 2 lb (907 grams), rated 10 F / -12 C, 20 oz (567 grams) of 850-fill goose down, down-filled draft tube with stiffener along full zipper track with split-full down-filled collar. This is an amazing lightweight sleeping bag ! weighs 2 lb 7 oz (1106 grams), rated 5 F / -15 C, 26 oz (737 grams) of 850-fill goose down, down-filled draft tube with stiffener along full zipper track with split-full down-filled collar. Water repellant and wind proof 20 Denier MicroLite microfiber shell covering. Excellent foul-weather sleeping bag ! Light, Warm, Compact, Durable - The NeoAir XTherm Mattress and the NeoAir Jembe Seat KitSeat. Some of OUR FAVORITE ULTRALIGHT GEAR ! .... outstanding optical performance and compactness ideally suited for ultralight backcountry travel. The integration of the optical elements into a tough, nitrogen-filled aluminum body guarantees precision and longevity. 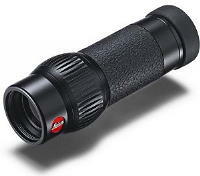 Lightweight body construction is waterproof and protects the monocular in rough outdoor conditions. It's small, light, tough and luxurious. Inside the elegant leather case is a pocket for a special attachment - the close-up lens. Installing this accessory allows 8x magnification as close as 9.8"/ 25 cm - this macro-effect viewing is excellent for observing the finest details (e.g. bugs) not viewable through larger optics. BACKPACKING LIGHT OUTDOOR GEAR SUGGESTIONS ! Snow Peak Titanium & Ultralight Stoves, Cookware, Lanterns, Tents, Tarps, Wings, etc. ROBUST CLIMBING GEAR SECTION ! POPULAR, PROVEN OUTDOOR GEAR ! The new Gregory backpacks drive home the "lighter and faster" philosophy, while keeping packing comfortable and affordable. 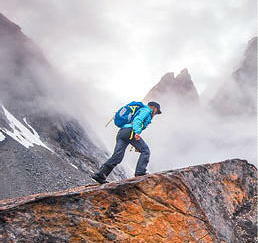 Time-tested quality applied to their new lightweight backpacks for women and for men. Innovative, ultralight, high-quality all describe Black Diamond gear. Since 1997 - the Gear Store, together with BackcountryGear.com, has been featuring quality outdoor gear with a special emphasis on lightweight & ultralight backpacking equipment. Our service and our goals remain the same today. Thank you for shopping here - your orders are always secure and remember to hug your mom !